What makes this kid so special that he gets to screw around with the computer while all the other students are stuck with “normal classroom activities”? I think the computer is an Apple II Plus, released in 1979. Driftwood Elementary School is in Hollywood, Florida. LOL “normal” classroom activities. Total sign of the times. Wow. Hmm. Let’s see. Normal classroom activities. Playing “M.A.S.H. ?” Pencil fights? Or what about that desktop football game with the paper triangle football? 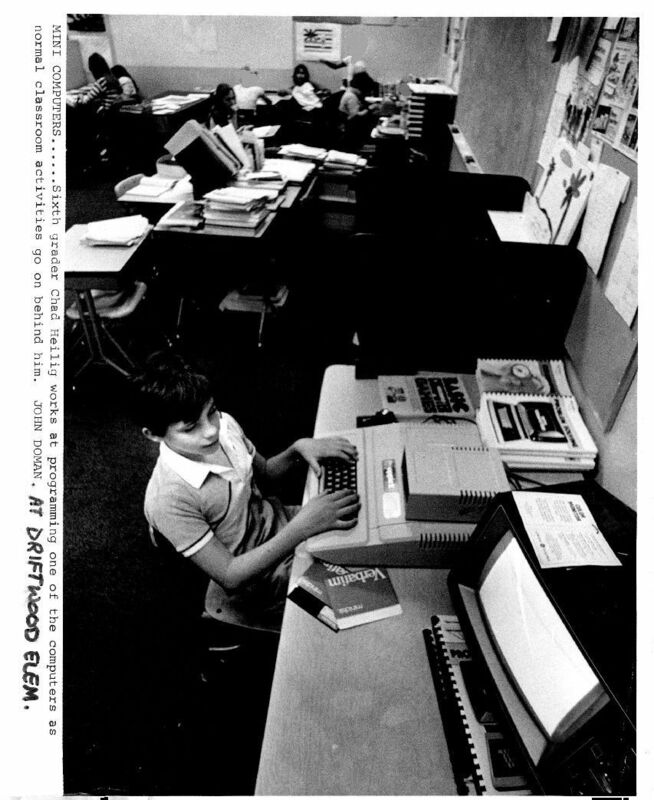 We had 2 Apple IIe’s in our room of TRS-80’s. Only the “smart” kids got to use the Apples.